A U.S. Housing and Urban Development (HUD) rule is helping to protect some Oklahoma property owners from foreclosure proceedings as they manage the aftermath of devastating tornadoes earlier this year. Lenders on properties insured by the FHA and HUD are not allowed to start foreclosure proceedings for 90 days following a presidential disaster declaration. 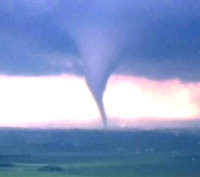 President Barack Obama declared a disaster for six counties in the state, following the May 20th tornado that struck the Moore area. Executive director of Legal Aid Services of Oklahoma Inc., Michael Figgins, told The Oklahoman that he is concerned that some lenders are not following the HUD rules on foreclosures in disaster struck areas. “The 90-day hold on foreclosure provides disaster victims the needed time to regroup and recover,” Figgins told the paper. There are many homeowners in the disaster stricken counties that have FHA loans. Wells Fargo to Expand Real Estate Brokerage to U.K.